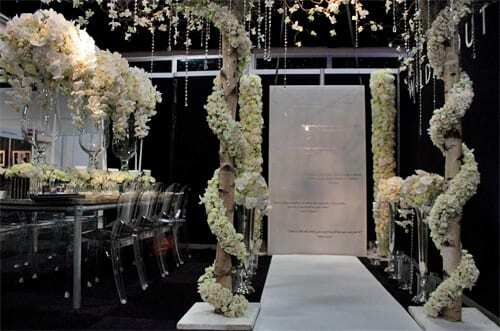 ‘Wow!’ is what I said to Leanne from Wildabout when I approached her absolutely breath-taking exhibit at Brides The Show earlier this month. And I think you can see why from the picture above. 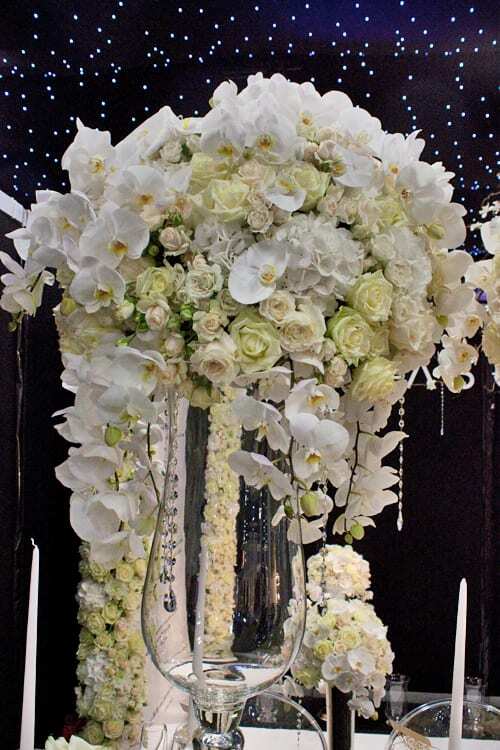 I loved all her opulent wedding flower designs and the cohesiveness of her stand, with its colour palette of white, cream, ivory and blush. 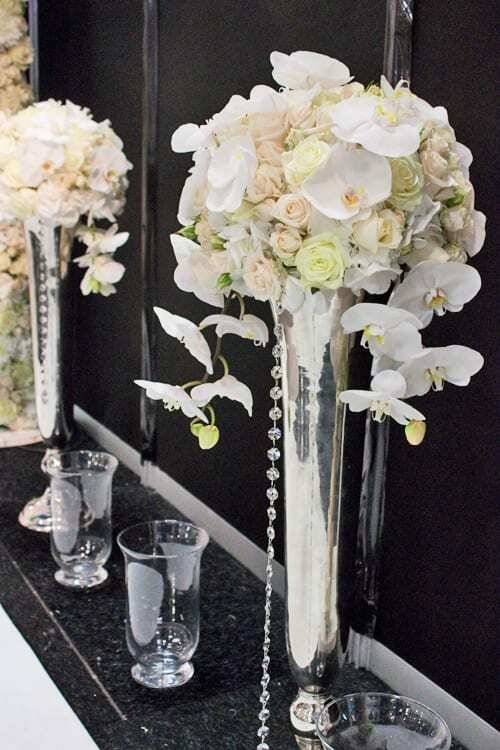 Leanne’s use of roses, orchids, hydrangeas, spray roses and calla lilies, together with mirror cubes and hanging crystals, conjured up a wonderful image, for me, of the 1920s and The Great Gatsby! 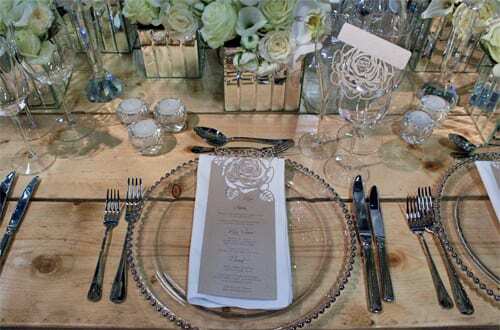 I loved the floral-inspired place cards and menus by Intricate Creations! Aren’t they beautiful? And aren’t these Bombastic spray roses below just so pretty? If you’re planning your wedding, I hope today’s blog post has given you some inspiration. 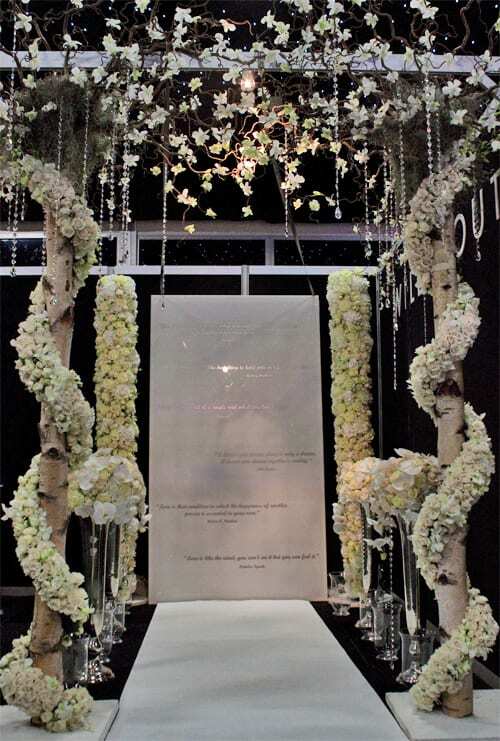 And to see more of Leanne’s beautiful floral designs, do pop over to the Wildabout website. The dates for the next Brides The Show have been announced and if you’re a bride-to-be, I highly recommend booking tickets. It’s taking place at Battersea Park in London on March 22nd-23rd, 2014. Did you notice that there isn’t any foliage in Leanne’s designs? 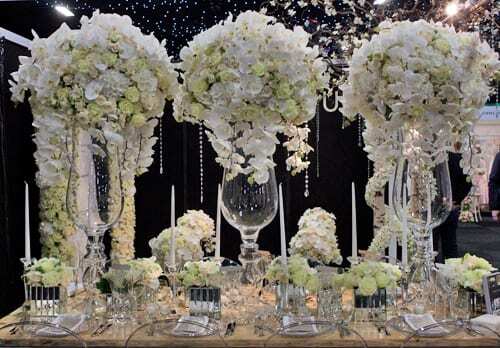 She’s used a carefully selected collection of flowers in different sizes, shapes and textures in a virtually monochromatic colour palette. Bearing in mind that foliage is generally less readily available to buy, on a much smaller scale (! 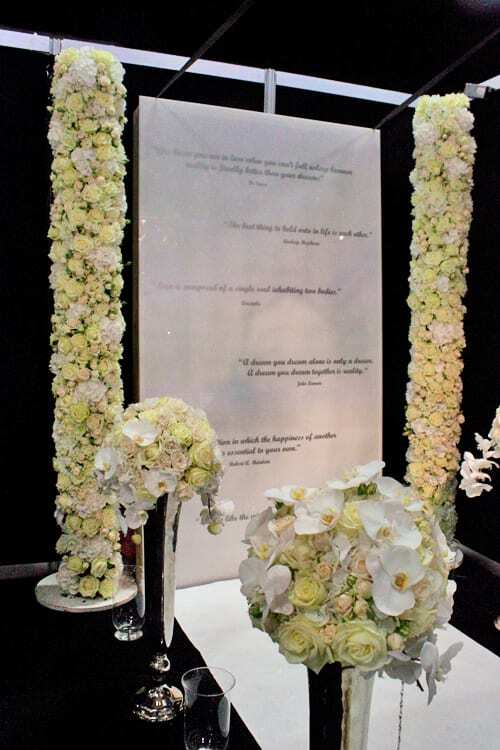 ), you could use today’s blog post to inspire you when arranging flowers in your home. Simply buy three different types of flowers in a similar colour, but with different petal shapes, textures and sizes to add interest, and arrange them in a vase. 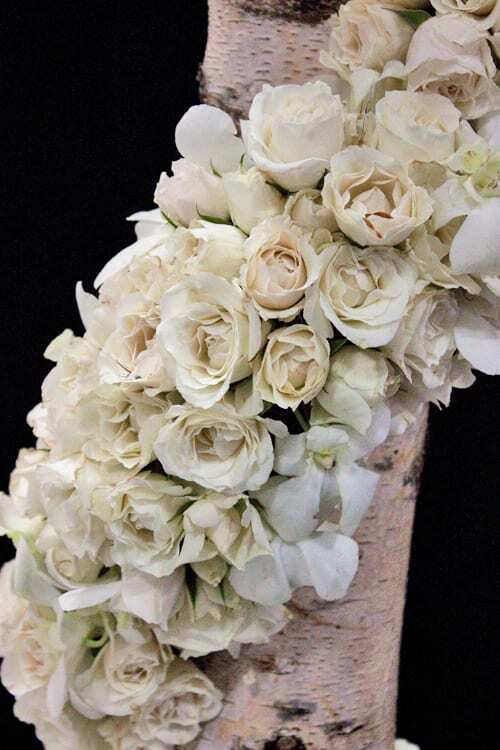 Perhaps, white roses, lisianthus and freesias?